In English we read a play called “Death of a Salesman” written by Arthur Miller in 1949. “Death of a Salesman” takes place in a post world war society and is about a man name Willy Loman, who is a Salesman, and his daily struggles. These struggles include work, family, dreams, and money. Throughout the play you get to see into Willy’s past and understand him, but also learn some unsettling information about the Salesman. “Death of a Salesman” can be considered a tragedy genre because Willy had worked his entire life for the American Dream. The Dream where the man goes to work and comes home to a doting wife and two kids. Willy had worked so hard to achieve this that he exaggerates about his success, had an affair with another woman, and raised two sons who didn’t know how to properly function in society. All of these factored to his eventual downfall. The blackout poetry project reflects the themes and keywords from “Death of a Salesman.” The poem focuses on the relationship of a father and his family, told through the eyes of one of his kids. Biff’s and Willy’s relationship was very strained because Willy always had high expectations for Biff and expected him to follow in his footsteps, but Willy never let Biff decide what he wanted to do. Willy seemed to be absent from his home and as years dragged on his job affected his mental health, which brought him to his downfall. 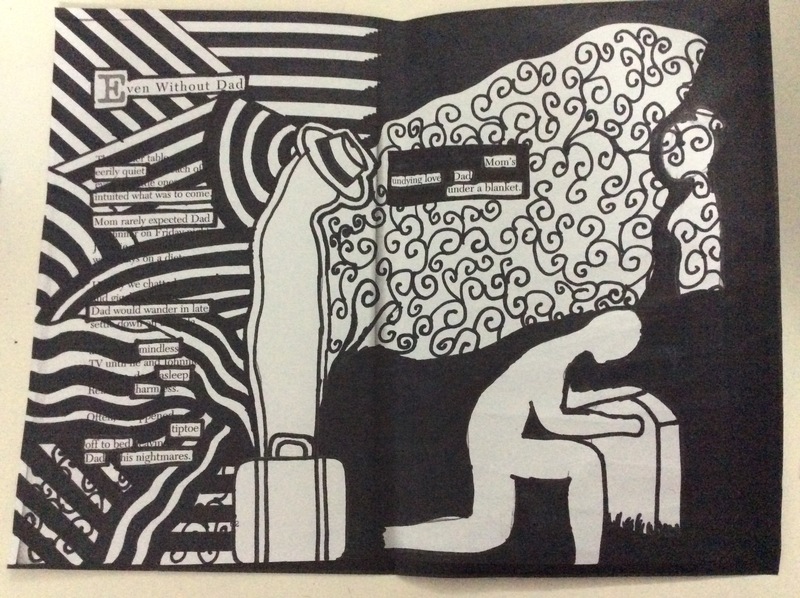 The poem also contains an illustration of Biff at Willy’s grave while Willy is behind Biff trying to support and connect with him (the swirls connect to his head). On the far right above the grave is Linda. Willy will live on through his wife because she was unquestionably loyal to him and will be in her heart forever (swirls are within her). Willy Loman was not a conventional hero of tragedy, but Miller had made readers empathize for Willy and his situation, so when he arrived at his downfall we would feel his pain and understand. Intuited what was to come. Dad would wonder in late mindless, asleep, and harmless. 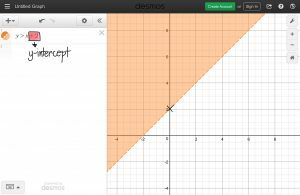 This week in Pre-Calculus 11 we expanded our knowledge on trigonometry. 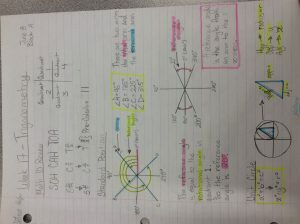 We started off by reviewing Math 10 trig, then moved into unit circles and special triangles. 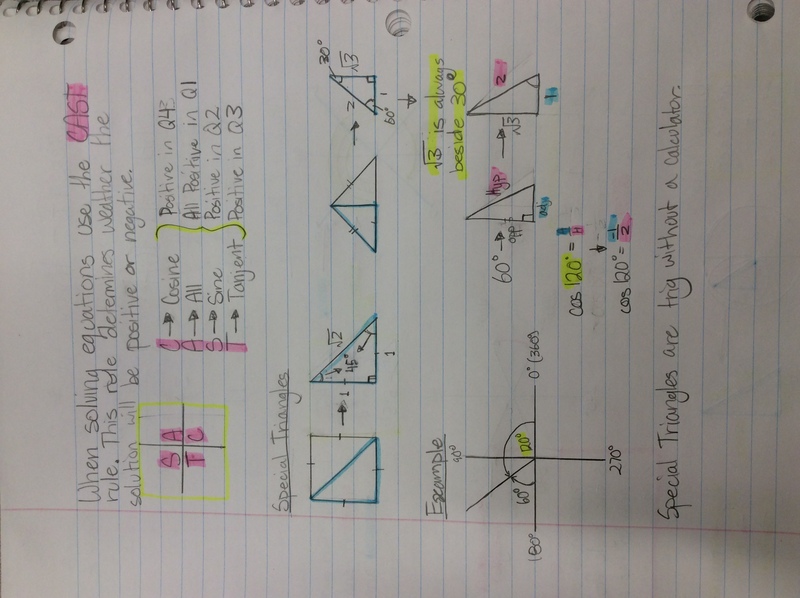 We learned how to do trig without calculators by using special triangles. 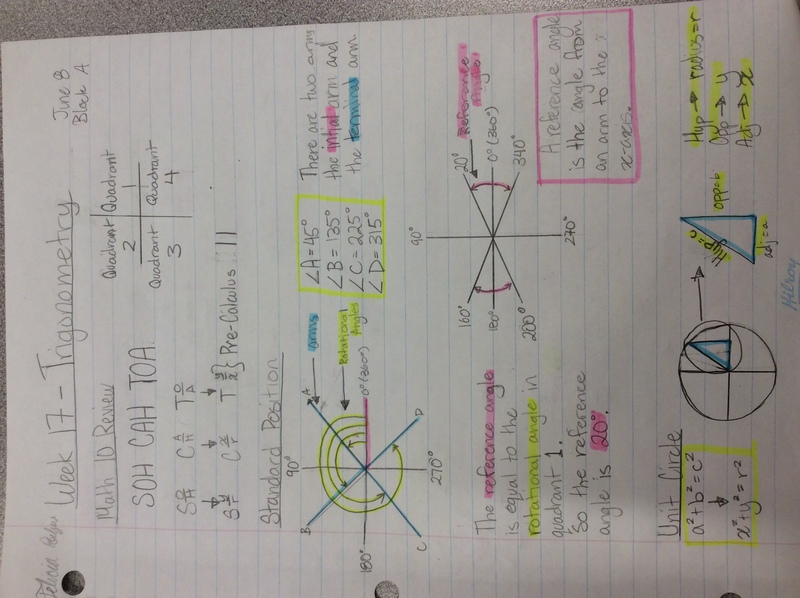 We reformed SOH CAH TOA to be able to apply it in non-right triangles. 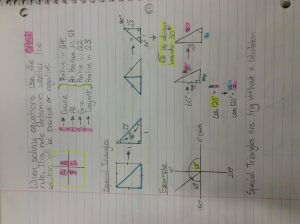 Another thing we learned was Sine and Cosine Law. This is a monologue because Biff is talking for a long period of time. This is a monologue because he is talking to Willy. Biff: You are not listening Dad! I am unhappy with the choices I have made in the past several years, so I returned home to this family. I returned from my life on the farm for family and myself even though my own father does not support that life, but still I continued to follow in your footsteps. My entire life my you had supported me especially my football career in High School. I should have tried harder and focused more in school specifically in math class. Mom has been a constant support throughout my life, even though I do sleep around. I went to Oliver like you wanted and he had no idea who I was. My entire life I have felt pressured to follow in your footstep’s and your career. So in the end that’s what I did; I pleased you and mom but sooner or later a man realizes what his true feelings are. I didn’t want or have any interest in a salesman’s career and that is why I stopped going to school and went to a farm. I would never be happy in that firm, I am sorry Dad but I can’t please you anymore. 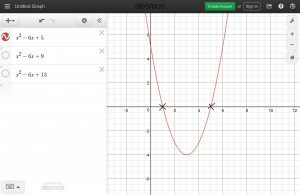 This week in Pre-Calculus 11 we started the Radical Expressions and Equations unit. In lesson 7.2 we review multiplying and dividing fractions then learned how to divide and multiply rational expressions. Before simplifying state the restrictions. Restrictions always come from the denominator. Stop when you can’t simplify any further. When multiplying or dividing single variable expressions you need to factor. Factor before stating restrictions because when you factor you can extend trinomials so you have more zeroes. Once the restrictions are stated then you simplify. This week in Pre-Calculus 11 we started a new unit. 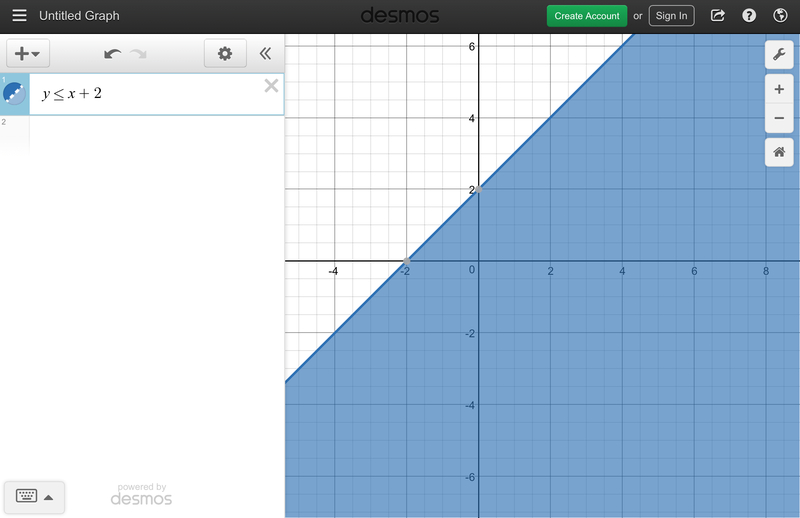 This unit includes absolute values and how we can graph them. 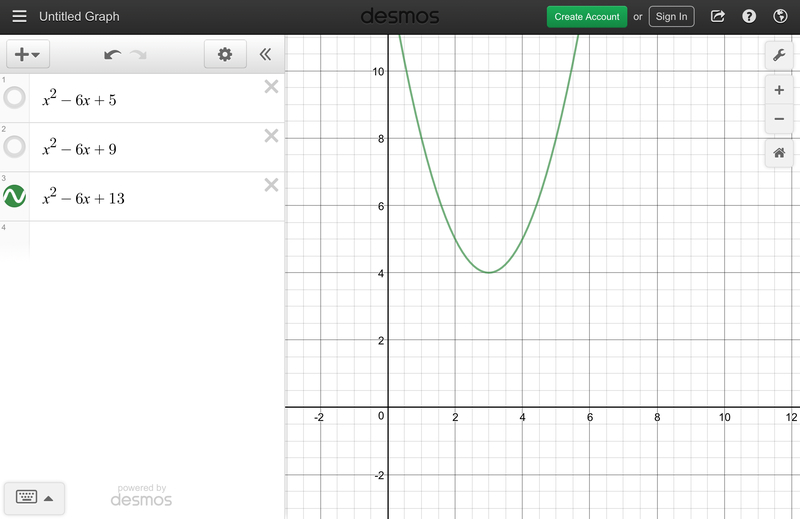 I will show you how to graph an abosolute value linear function. There are steps that we need to follow when dissecting an equation. 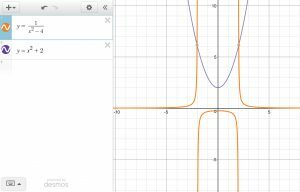 Something to look for when graphing linear absolute value functions is the x-intercept. This is important because the x-intercept is the critical point, the point where the graph changes direction. Some equations will have no solution which means they don’t touch the x-axis. 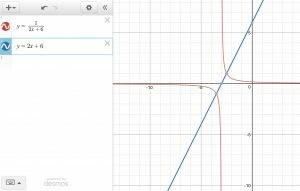 This week in Pre-Calculus 11 we learned about reciprocal linear and quadratic functions. 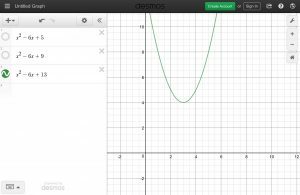 We learned how to solve the functions algebraically and graphically. My preferred method is graphing to solve because it is a visual for me to see even though it is specific it helps work it out. This week in Pre-Calculus 11 we reviewed linear graphing (y=mx+b) from Math 10 and expanded on it. So instead of looking for just one answer of y we look for the possibilities of y. Also we use inequalities instead of an equal sign. I will be blogging about Graphing linear inequalities in two variables (x and y). 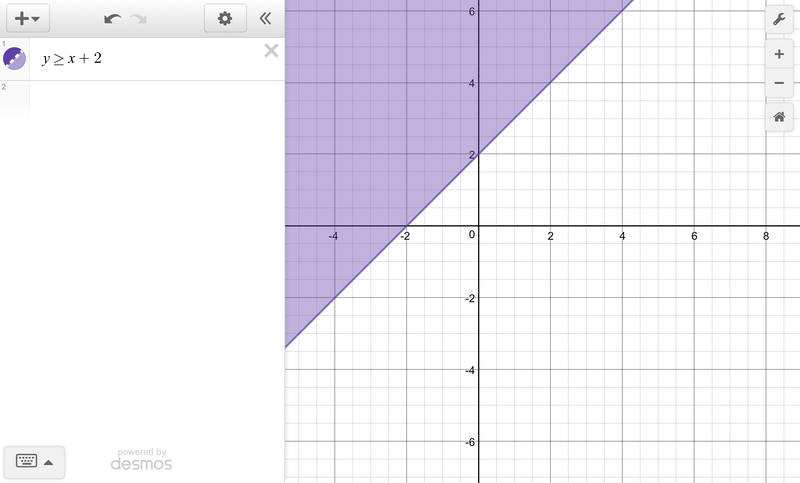 Solutions to linear inequalities in two variables is represented by the boundary lines and shading on one side. 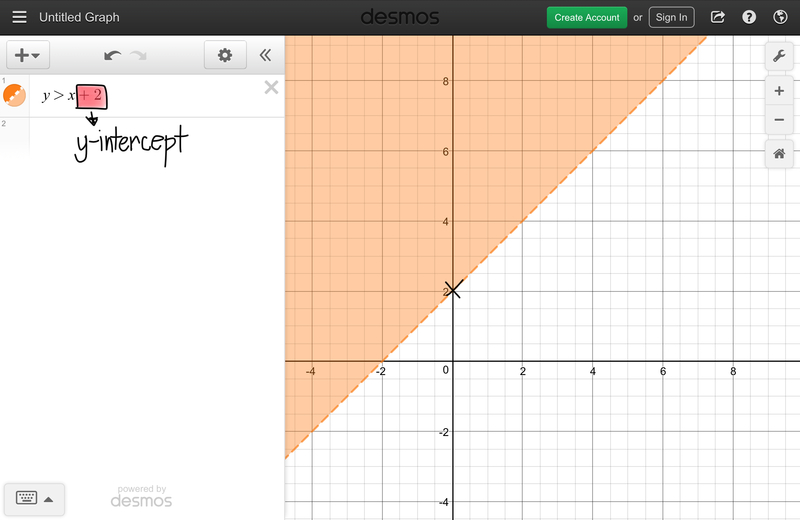 The inequality used decides what the boundary line looks like. When you shade you need to test one of point on either side of the line. 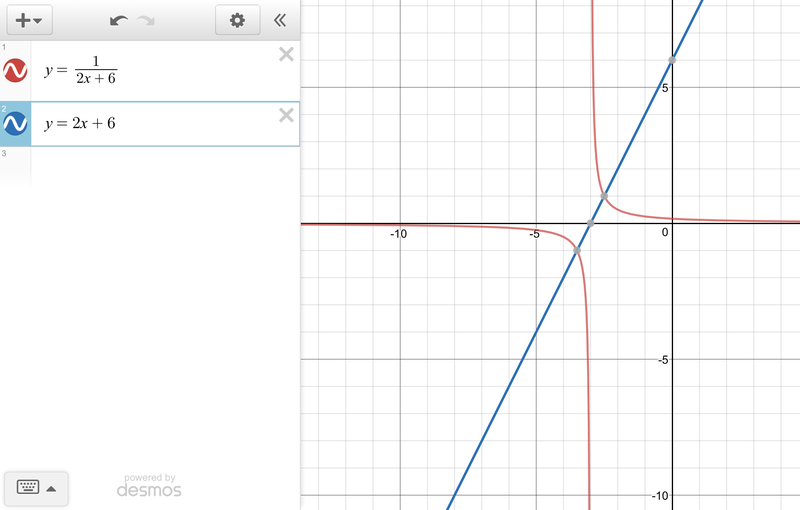 If the answer is true such as (y<x+2 —> 0<0+2 —> 0<2) then shade on that side of the line. In the example I used (0,0) as my test point. If it isn’t true choose a point on the other side of the line and test that. Try and use (0,0) as your test point it makes it easier and leaves less room for mistakes. This when y is greater than x+2. So the line is broken and the shading is above. 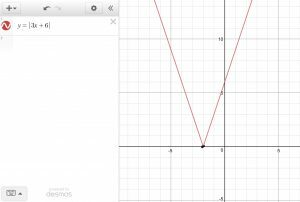 In this graph y is less than x+2. So the line is broken and the shading is on the bottom. 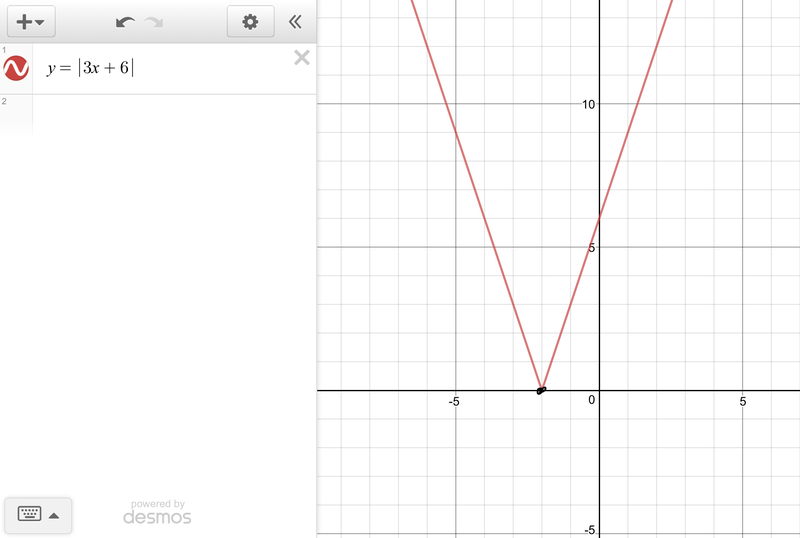 This graph is saying y is greater than or equal to x+2. So the boundary line is solid and the shading is above. 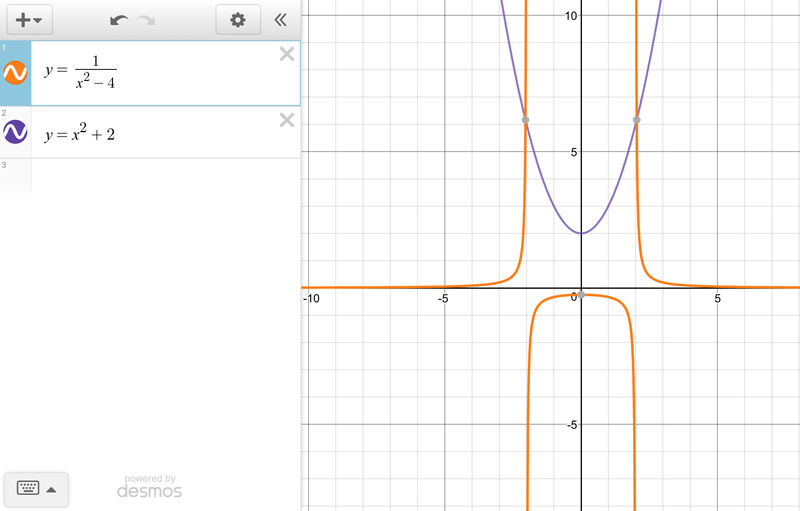 y is less than or equal to x+2 in this graph. So the boundary line is solid and the shading is below. This week in Pre-Calculus 11 we reviewed for our midterm. So we are suppose to blog about something we haven’t blogged about yet. 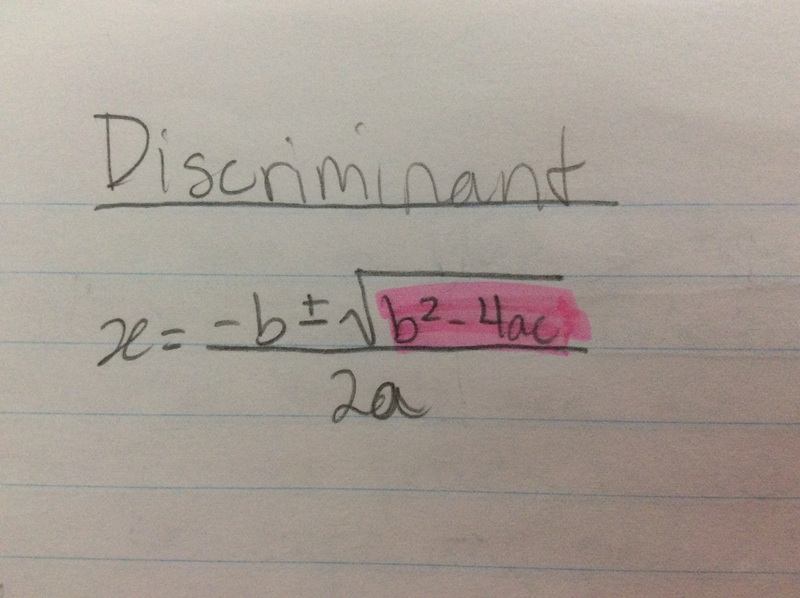 I chose the discriminant because it was something I struggled with until review this week. The discriminant is how we determine how many solutions there are. Here is how to find the discriminants . 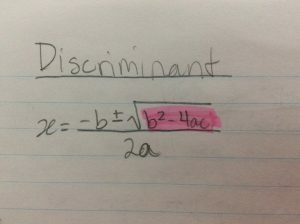 This connects to the quadratic formula, the pink is the discriminant formula. So you can have 2 solutions, 1 solution, or no solution. 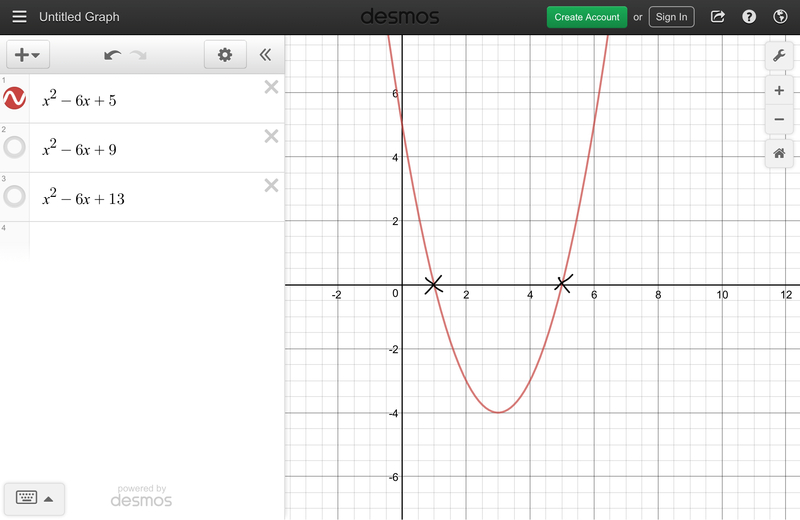 Plug in a, b, and c.
This parabola crosses the x-axis twice giving us two solutions. 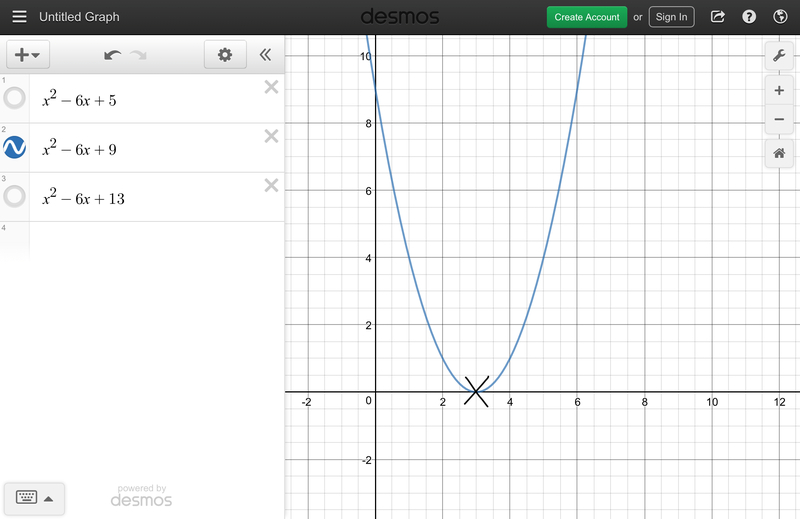 The parabola crosses the x-axis once meaning there is only one solution. 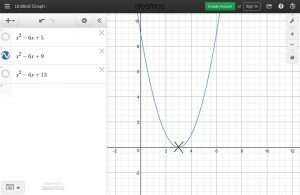 The parabola never crosses the x-axis so there is no solution.